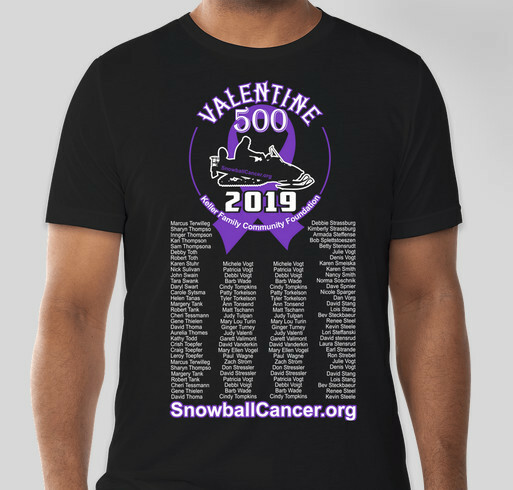 SnowballCancer.org Show your support for those battling cancer! Buy your shirt to show your support! All funds raised will go directly to KELLER FAMILY COMMUNITY FOUNDATION . Nick Keller has ridden over 100,000 miles on his snowmobile to help families who are battling cancer. Show your support today by wearing this shirt with pride! Lost my Father to cancer almost 5 years ago and just lost my wives grandma just a couple of weeks ago. Lost my mom and sister to cancer. And today would have been my sister's 54th birthday.. love and miss you both, & I love SNOWMOBILING!! My husband Matthew Zuro was an avid snowmobiler. He passed away last March from Stage IV colon cancer. I’m supporting this campaign in Matthew’s memory. Share Why You Support "SnowballCancer.org Show your support for those battling cancer!"